The literal Rolls-Royce of SUVs got its first commercial these days, courtesy of the company’s Youtube channel. As expected, it’s not a normal commercial that showcases how much stuff you get in exchange for what is the highest price tag you can pay for an SUV these days. Instead, it focuses on more important things, such as the way you feel and how you perceive those around you, things that only a wealthy person could actually understand. Other interesting tidbits you can spot in the video include fencing, diamonds and private dinners. Understandably so, if you think about it, as the Cullinan name, for example, was taken after the world’s biggest diamond. The SUV the British put together definitely deserves to be compared to the finest things in life, as we found out during our time with it. From the way it allows you to challenge any sort of terrain without spilling your chilled champagne to the way it moves on perfect asphalt, this is as close as it gets to a perfect SUV. Those lucky enough to afford one will have to pay at least $350,000+ for one, as that’s the starting price. Start adding the optional features though and you can end up close to half a million if you’re not careful. Then again, according to the CEO of the brand, that sort of money shouldn’t be an issue for prospective owners, who, on average, own double-digit sized car collections, helicopters and proper yachts. Under the hood of this 2.7-ton beast hides a motor that’s more than capable of pulling all that weight and carrying you in comfort across uneven surfaces and mild off-roading paths. 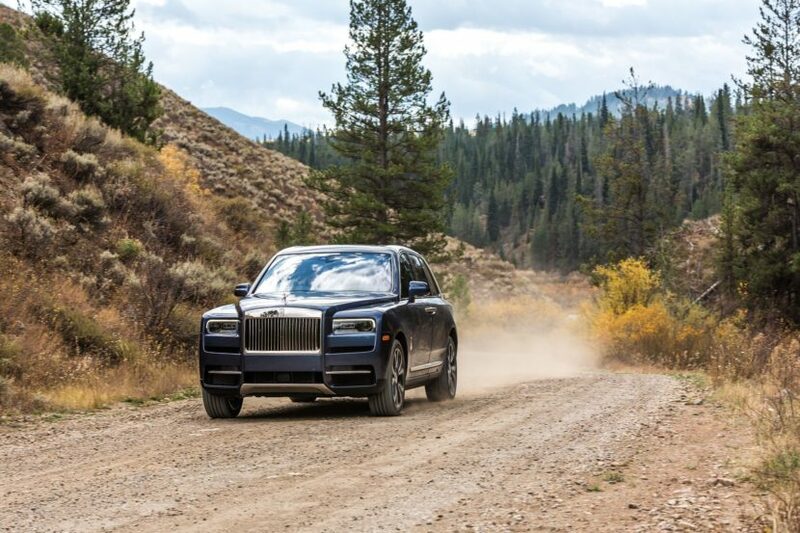 Of course, nobody in their right mind would risk scraping the underbelly of their Cullinan by driving on anything other than silky smooth roads.